Taut, emotive and utterly compelling, an unputdownable 'ripped from the headlines' novel that you will want to talk about with everyone you know. I would never have thought that I would have enjoyed a book so much with so many intensely selfish and obnoxious characters. It's testament to Alex Marwood's writing that the vileness of the group of friends is the main ingredient for such a dark mouthwatering recipe for disaster that is The Darkest Secret. Sean Jackson changes wives almost as often as he changes his address. He marries them, has a couple of daughters then moves on to the next woman who catches his eye. When Sean dies suddenly in a compromising position, most befitting his character, we are taken back to 2004. It is Sean's 50th birthday weekend and his friends have gathered with their families for the celebration. During the drinking and debauchery, friendships are tested, relationships are ended and Coco, one of Sean's twin daughters, goes missing. As the same friends gather for Sean's funeral 12 years later, the strain of keeping secret what really happened to Coco starts to show. With alcohol flowing and reporters hanging round, to what lengths will the friends go to keep the secret buried? Do they all really know what happened to Coco, or do they only know half of the story? 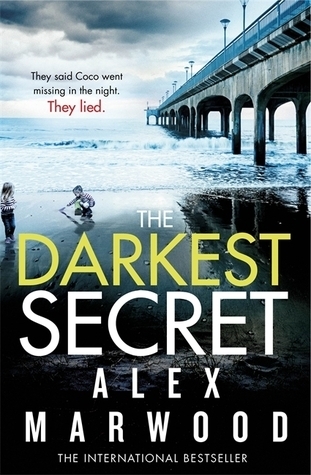 The Darkest Secret is a deliciously dark page turner; there are so many lies and cover-ups that I wasn't even sure what to believe at one point. I would never have guessed what really happened and completely missed the psychopath in the room. 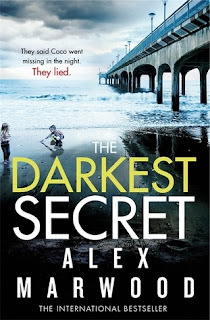 I would definitely be checking out Alex Marwood's previous novels and will certainly be looking out for more from such a talented author. 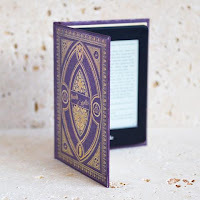 I received this e-book from the publisher, Little, Brown Book Group, via NetGalley in exchange for an honest review.